It’s holiday time again – and you know what that means? Pickling time! 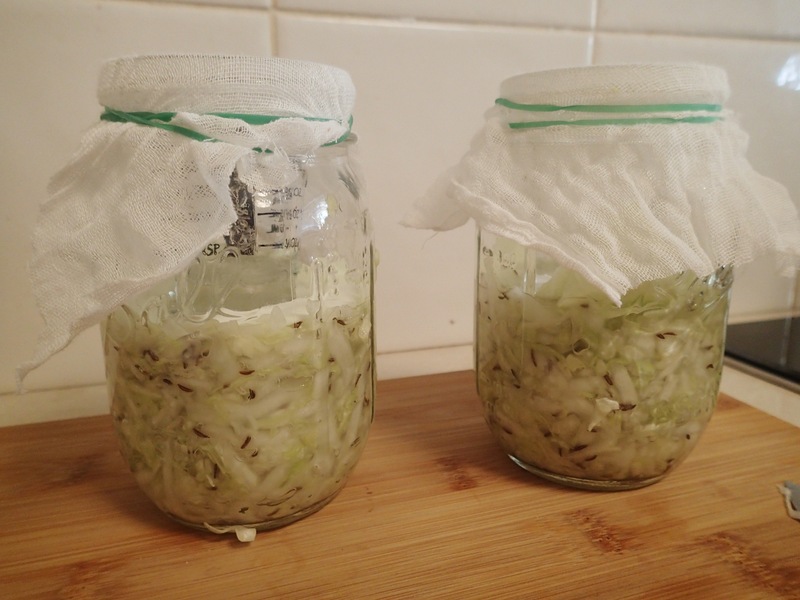 I’ve been wanting to try fermenting for a while too, so I’ve been trying a few different things. 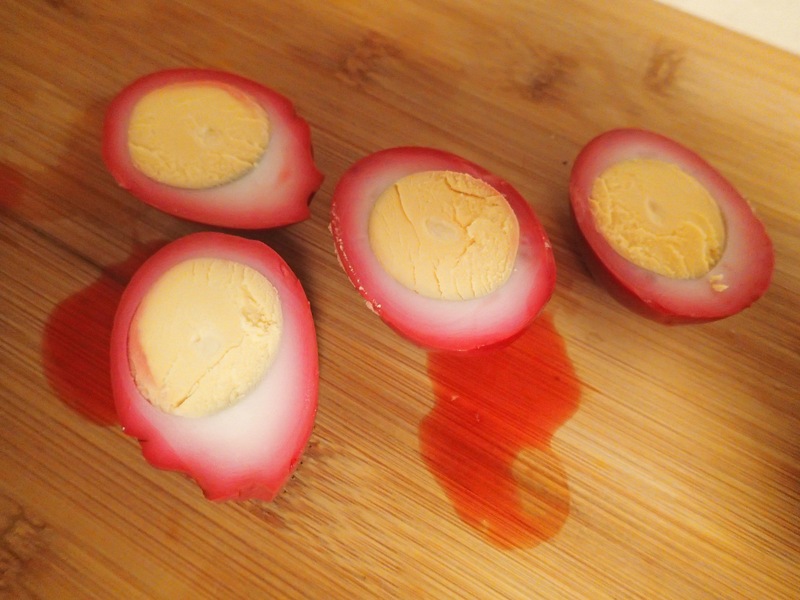 First up – beetroot eggs. 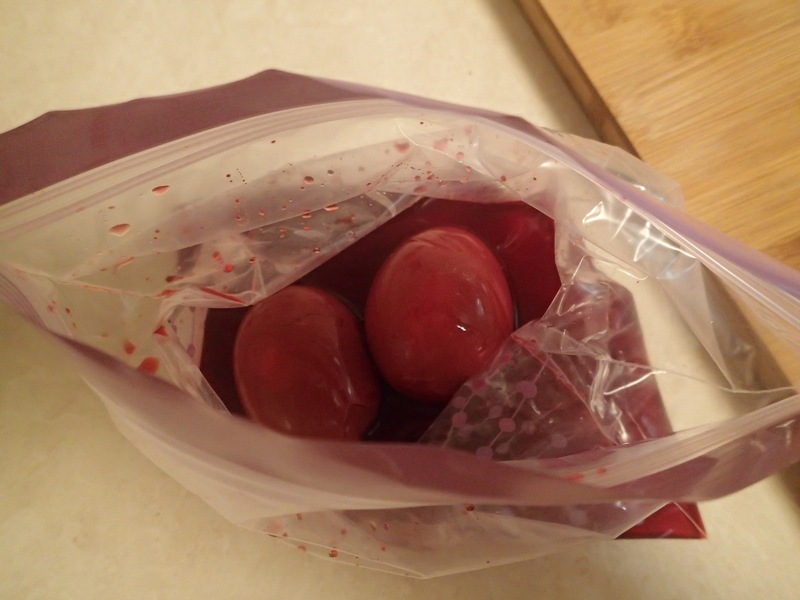 These aren’t really pickled, just boiled eggs soaked in beetroot juice overnight. They look and tasted pretty fab. 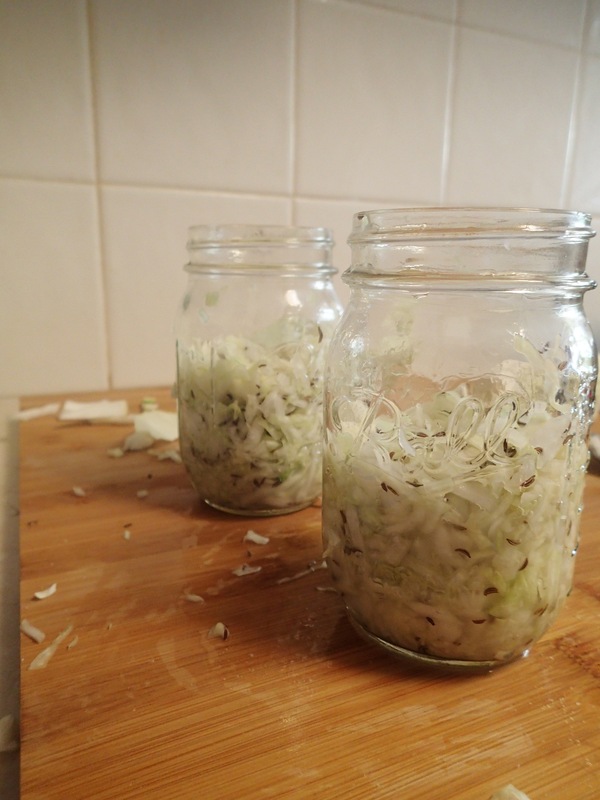 Next up – sauerkraut. Now, this is an ongoing experiment. 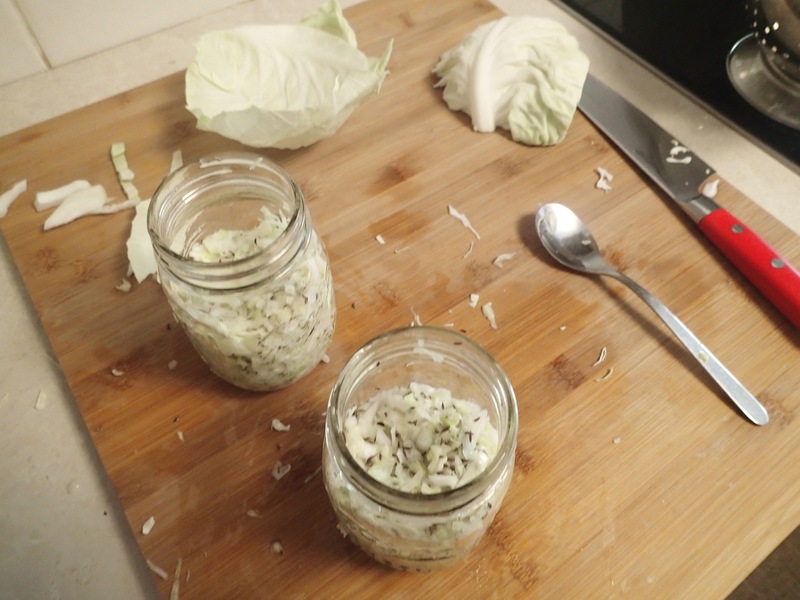 I currently have two jars of cabbage in the back of my cupboard fermenting away. Very easy to make – just chop up a whole load of cabbage and massage in some salt until the cabbage goes limp. Then I put it in jars and weighed the cabbage down. 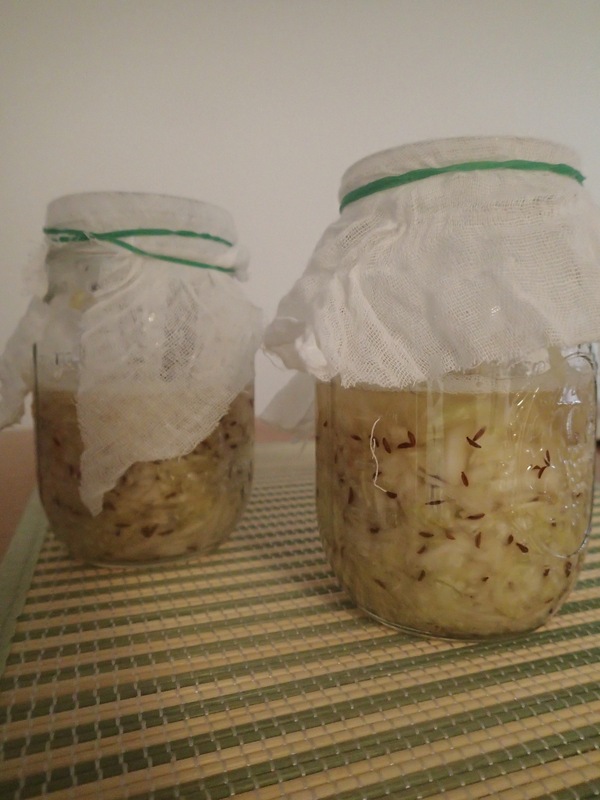 The jars get covered with muslin, then stored in a cool dark spot for 3-10 days. This was after about 2 days. The cabbage reduces down and it gets more liquidy. It’s been about 4 days now. I’d better go check on it again soon. Now…Nukadoko. This was my biggest challenge yet, and I have so far not been very successful. 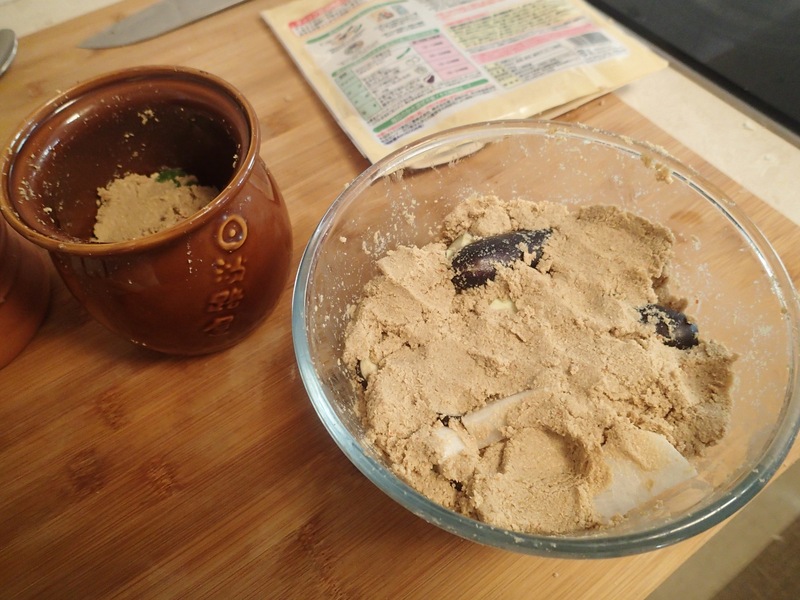 Nukazuke are Japanese pickled vegetables that have been pickled in rice bran. Whenever you walk through markets in Japan (especially Kyoto) you see big barrels with vegetables buried in what looks like sand, but is actually rice bran. 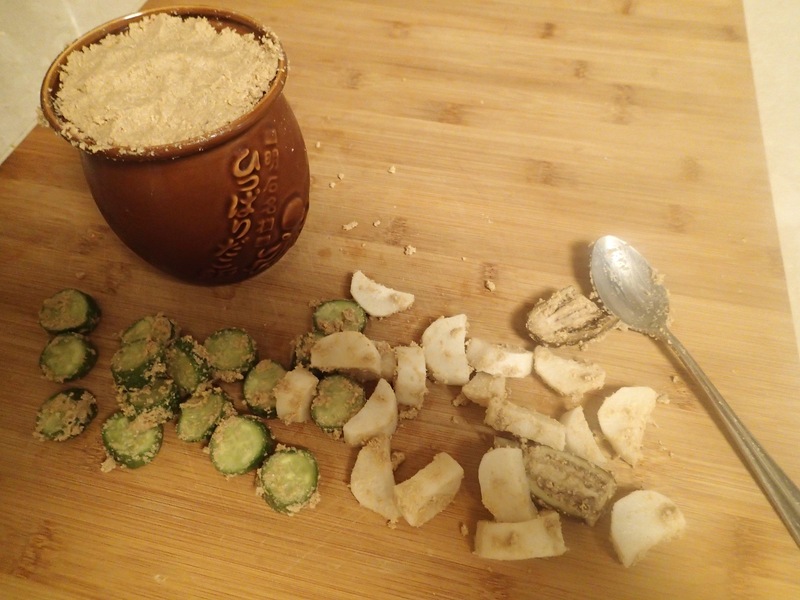 The vegetables ferment and pickle in the rice bran with delicious results. Now, it’s a bit of a task to start all this from scratch (you need to add yeast and vegetable scraps etc ect to get the culture started) so I was excited to find a packet of Nukadoko ready to go at Fuji Mart the other day. All the instructions on the packet were in Japanese, so with the kind help of our Japanese speaking neighbours (and my limited ability) I kind of figured out what to do. 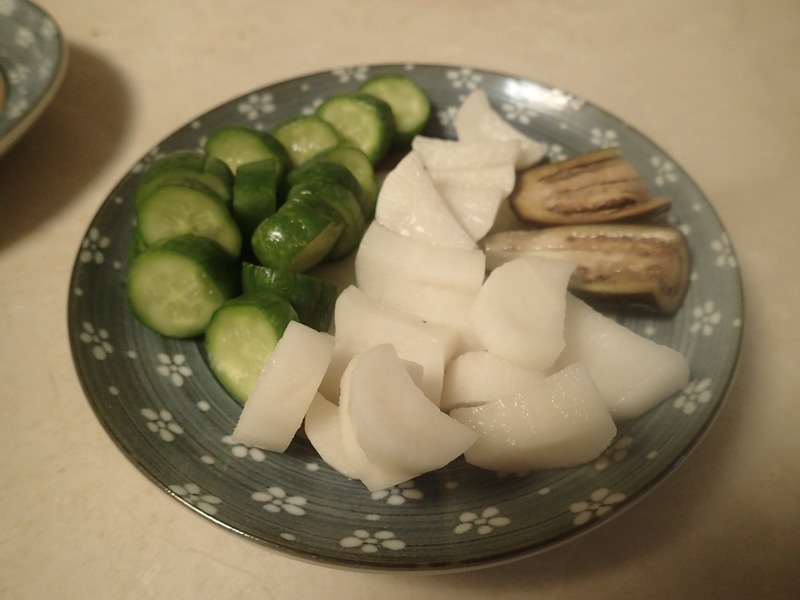 I decided to try cucumber, daikon and baby eggplant. 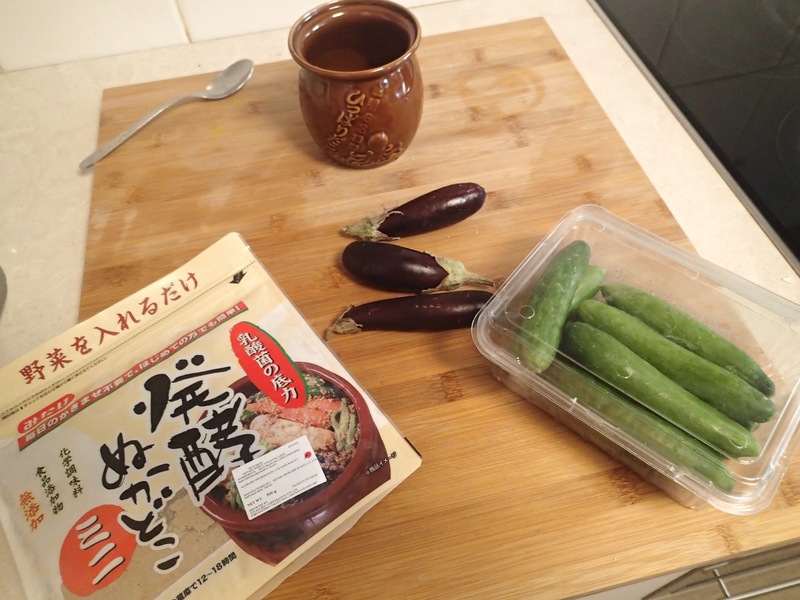 The pickles looked good when I took them out, although the eggplant didn’t seem ready. But…..sadly they didn’t taste so great. Too yeasty and salty. Oh well. The Nukadoko can be reused pretty much forever, so I will try and try again until I get it right!